The part-time Villanova University Fast Track MBA program option requires students to attend classes two nights per week. 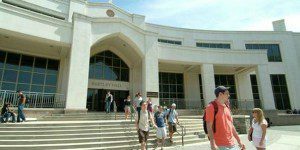 The fall and spring semesters are 15 weeks in length, while the summer session runs for nine weeks. The program is usually completed in two years, but can be finished in 21 months. Students can choose to enroll in classes that meet on Mondays and Wednesdays in Center City or those that meet on Tuesdays and Thursdays on the Villanova campus. This program has only one start date each fall, and all classes begin at 6 p.m. On average, students spend two years completing this program. The tuition includes a one-week Global Immersion. The curriculum for both the Fast Track and Flex Track MBA programs at Villanova encompasses 48 credits. Highlights of the Fast Track curriculum include a mandatory, one-week international immersion and capstone consulting practicum. Each Villanova University Fast Track MBA class takes the same fundamental courses in sequence within a cohort of approximately 35 students. After completing an online primer focused on building or refreshing quantitative skills necessary for completing the MBA curriculum, students take part in the 1.5-credit Leadership Challenge. Taking place online and over one weekend, this course explores the dynamics of team-building and leadership. Following these “MBA Fundamentals” is a series of four 1.5-credit courses referred to as the VSB Pillars, which cover topics including globalization, innovation, ethics and technology. Six core courses worth 15 credits in total, four “pillars” for 6 credits, a capstone component, electives, a current events course and several multidisciplinary courses round out the MBA curriculum. Students who have taken graduate courses in business at accredited universities may seek to transfer up to nine credits as long as they receive prior approval. During the spring semester of their second year, students embark on the Global Practicum, a weeklong international excursion designed as a capstone to students’ MBA experience. Typically, students travel to one of three locations to visit various business organizations and put the global strategic management theory they have learned into practice. Students have the option of declaring a specialization by taking 7.5 credits in a specific area. The seven areas of specialization are finance, healthcare, international business, marketing, management information systems, real estate and strategy management. Villanova University Fast Track MBA students are 27-years old on average and have worked for an average of six years before starting the program. The average GPA reported by Fast Track students is 3.0-3.75, and most score between 560 and 710 on the GMAT. Tuition for the Villanova University Fast Track MBA for, 2018-2019 is $1,042 per credit which includes the cost of the international trip. In addition, students are responsible for paying a $50 general fee for each semester of enrollment. All accepted applicants to the Fast Track MBA program are considered for merit scholarships based on their application materials. VSB reports that approximately 70 percent of Fast and Flex Track students receive some funding from their current employers. Thirty percent of students personally fund their MBA studies. All students are encouraged to investigate federal loans for graduate students, such as the unsubsidized Federal Direct Graduate PLUS Loan. To apply to the Villanova University Fast Track MBA program, applicants must submit a completed online application form, two essays, transcripts from all undergraduate or graduate institutions attended, two letters of recommendation, a professional résumé and a $50 application fee. VSB also requires applicants to submit GMAT or GRE scores. Applicants who are non-native English speakers must submit TOEFL scores and an evaluation of their transcripts from ECE or WES. Admissions interviews are required for acceptance into the Fast Track program and are conducted by invitation only.